There are some audacious applications. However an application by defendants that attempts to dictate who the claimant’s litigation friend should be, and who their solicitor should be, should – at the very least – be backed up by firm evidence. The nature of the evidence was a key issue before Master Clark in the decision in Keays v Parkinson, The Executors of the Late  EWHC 1006 (Ch). The defendant’s “evidence” in support of this “unusual” application was far from compelling. The claimant is the daughter of the late Cecil Parkinson. She suffers from physical and mental disabilities. She brought an action under the Inheritance (Provision for Family and Dependants) Act 1975 against the estate of Mr Parkinson. Her mother, Sarah Keays, acted as litigation friend. Sara Keays to be replaced as the litigation friend. A solicitor (chosen by the defendant) to act as litigation friend. Ms Keays pay the defendant’s costs of the application in any event. The Master considered the application, and the law relating to the suitability of litigation friends. She then reviewed the evidence in detail. Considering firstly an assertion that Ms Keays would not be able to fairly and competently conduct the proceedings. The evidence in support of this issue in the application falls into two main categories. Firstly, the executors rely upon Ms Keays’ conduct in relation to the deceased over a 12 year period (which concluded 22 years ago): from the claimant’s birth in 1983 to an unsuccessful appeal in 1995. This included reliance upon a judgment of 9 March 1993 (which is generally favourable to Ms Keays) in an application for maintenance of the claimant, in which certain specific items of expenditure are referred to excessive or “somewhat excessive”; and to Ms Keays having been in breach of an injunction granted in 1993. Relying on this evidence, the executors submitted that Ms Keays’ role as the claimant’s litigation friend was tainted by her “highly litigious” relationship with the deceased, as well as her “bizarre perception” that the deceased’s family, the executors and their solicitors are involved in some kind of conspiracy against her. They submitted that Ms Keays’ entrenched hostility towards the deceased, and by extension his family and the executors was obstructing the progress of this case. I regard the evidence put forward by the executors as being of very limited probative value, not least because the last event relied upon was 22 years ago. Further, not surprisingly, because it is highly critical of Ms Keays, she responded with lengthy and detailed evidence seeking to rebut the criticisms made of her. The issues raised in this extensive evidence are ones which it is not possible to resolve without hearing detailed argument and, in respect of some of them, there being disclosure and oral evidence to resolve the issues of fact arising. However, to do so would be wholly disproportionate in an application of this nature, which in my judgment, should be determined on a summary basis. For the avoidance of doubt, I do not consider that this evidence shows that Ms Keays is extravagant, or that she is likely to commit a contempt of court in these proceedings. I also do not accept that Ms Keays had at the date of the deceased’s death a ‘highly litigious’ relationship with him. Ms Keays’ unchallenged evidence is that she has not sought to recover anything from the deceased since the maintenance order in 1993, which the deceased volunteered to continue upon the claimant attaining her majority in 2002. As for the deceased’s family, Ms Keays’ unchallenged evidence is that she has had no “dealings” with them for 38 years. Ms Keays does express in her evidence anger and frustration that the support provided by the deceased to the claimant (as set out above) has been abruptly removed, causing her and Ms Keays’ serious financial hardship. Although she criticises Farrers, she generally does so in their capacity as solicitors acting for the executors, the beneficiaries and the trustees (although, as noted above, her belief that they act for the beneficiaries was mistaken). She also mistakenly believes that the executors are able to distribute the proceeds, and criticises them for not having done so; whereas, in fact, it is the trustees who made that decision. However, a degree of confusion on Ms Keays’ part as to whom Farrers are acting for in their various dealings with her since the deceased’s death is understandable (though less understandable on the part of her counsel). I therefore reject the submission that Ms Keays’ attitude towards the executors, the deceased’s family, the trustees or Farrers justifies her removal as the claimant’s litigation friend. The second category of evidence relied upon by the executors relates to Ms Keays’ conduct of the claim since the death of the deceased. As noted, since October 2016, Ms Keays has instructed DPA counsel, and criticisms are also made of his conduct of the negotiations and the claim. (7) failure to respond to an open offer by the executors dated 31 January 2018 until 5 April 2018. As to (6), the executors’ counsel submitted that the executors had repeatedly made requests for relevant documents to be provided in the period before the claim was issued; and that they were not received. That is not supported by the correspondence -which asks DPA counsel to set out the basis of the claim, not to provide documents; although it is fair to say that the correspondence does not set out details of the claim. As noted, Ms Keays’ witness statement in support of the claim is, however, extremely detailed as to her and the claimant’s financial position. The executors’ counsel criticised Ms Keays for not exhibiting all the relevant documentation to her witness statement. However, I do not accept that it is unusual or unreasonable for a claimant not to do so. If the matters set out in the witness statement are put in issue by a defendant, then the court has power to order disclosure in respect of them. Ms Keays did give substantial voluntary disclosure (some 300 pages) on 14 July 2017. The executors allege that this disclosure is incomplete, but I was not taken to any correspondence requesting further documentation. As for the criticisms made of Ms Keays’ counsel, these were not relied upon by counsel in her skeleton argument. They are in my judgment irrelevant to the issue of whether Ms Keays is capable of fairly and competently conducting proceedings on behalf of the claimant; except insofar as they tend to exonerate Ms Keays from the failures set out above. However, since Ms Keays’ dealings with counsel are of course privileged, it is difficult to assess whether the failures relied upon by the executors are attributable to her not engaging with the proceedings, or to her counsel not dealing with matters within a reasonable timeframe, or at all. One example is Ms Keays’ failure to respond to an open offer by the executors dated 31 January 2018 until 5 April 2018. Counsel’s letter dated 5 April 2018 on her behalf refers to her asking him to “prioritise dealing with a response”; and to the fact that he is a sole practitioner with no administrative backup or solicitor to assist and no “real time” funding. It seems likely that this failure is not attributable, or wholly attributable to Ms Keays. I am not therefore satisfied that the procedural failings relied upon by the executors are wholly or largely attributable to Ms Keays. In these circumstances, I am not satisfied that if Ms Keays were able to instruct a competent solicitor with relevant expertise, she would not be able to fairly and competently conduct the proceedings. 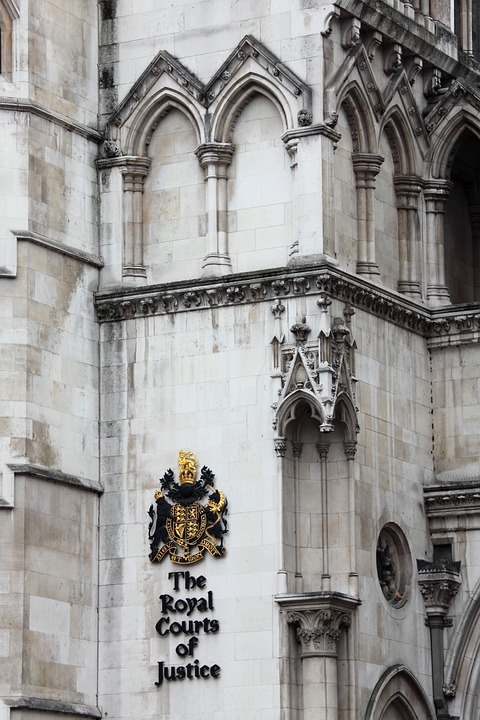 After dismissing assertions that there was a conflict of interest the Master then went on to consider the defendant’s application that a solicitor of their (that is the defendant’s) choice should be instructed on behalf of the claimant. As noted, the application notice seeks the appointment of a solicitor proposed by the executors as being an appropriate litigation friend. That is an unusual application. The practical reality is that the litigation friend will have extensive dealings with the parent or person responsible for the child or protected party. The court should therefore in my judgment be reluctant to impose a litigation friend on the parent or responsible person; and should only do so if there is no other viable candidate. My order of 26 September 2017 was directed towards enabling Ms Keays to identify a solicitor whom she considered suitable for the claimant and in whom she had confidence. It did not entitle the executors to nominate a litigation friend from those put forward by Ms Keays, or to veto a solicitor chosen by Ms Keays, in the absence of good reason for doing so. The executors’ counsel submitted that it was perverse for Ms Keays to insist upon the solicitor to whom the executors object. I reject that submission – provided the solicitor is otherwise a suitable appointee, in my judgment, Ms Keays should be entitled to choose the solicitor she prefers. (2) that her costs were “at a level that was hard to comprehend and ended up seriously eroding the settlement sum her client received”; and were likely to do so in this case. Not surprisingly, Ms Rose considered herself obliged to file evidence dealing with the concerns expressed by Mr Gordon. The executors’ counsel also suggested in her skeleton argument that filing such a witness statement reinforced the executors’ concerns about her suitability to act. However, in my judgment, it was entirely reasonable on the part of Ms Rose to respond in the way that she did to the criticisms made of her. Ms Rose’s evidence set out that she was unable to respond fully to Mr Gordon’s criticisms because of her duty to maintain her client’s confidentiality; but that, in the case referred to, contrary to Mr Gordon’s evidence, his clients had not been willing to engage with settlement negotiations. She also stated that, in that case, she was acting on her client’s instructions: her client was not a protected person and she was not acting as a litigation friend. In the course of the hearing, the executors’ counsel expressly accepted that the executors were not submitting that Ms Rose could not fairly and competently conduct the proceedings on behalf of the claimant. The allegations made by Mr Gordon against Ms Rose were not however expressly withdrawn. In the light of Ms Rose’s evidence, the criticisms of her made by Mr Gordon are not in my judgment made out; and do not provide a basis for rejecting her as the litigation friend of the claimant. Notwithstanding their concession set out above, the executors’ counsel submitted that it would not further the overriding objective for Ms Rose to be appointed, when personal difficulties had arisen between her and Mr Gordon. She did not refer me to any specific provision in CPR 1.1. The suggestion that the overriding objective requires harmonious personal interactions between solicitors acting for opposing parties seems to me to be unrealistic. In any event, any personal difficulties could be avoided if Mr Gordon (who does not seem to have had any previous involvement in this matter) was not involved. I do not therefore consider the possibility of personal difficulties between Ms Rose and the solicitor acting for the executors as justifying not appointing her. I shall therefore make an order appointing her as the claimant’s litigation friend. As for Ms Rose’s costs of acting as a litigation friend and conducting the litigation on behalf of the claimant, the executors’ counsel (rightly) conceded that I had jurisdiction to order these to be paid from the estate: see CPR r 64.2(a). The right order in my judgment is that they be paid from the estate in the first instance; but that as between the claimant and beneficiaries, they are reserved to the trial judge. Finally, I mention that although the executors in their capacity as such have no interest in the outcome of the claim, they have not taken a neutral position reflecting that absence of interest. Instead, they have actively defended the claim. This has included making the current application. The executors’ counsel informed the court that the stance taken by the executors was supported by the beneficiaries. This is not desirable because costs attributable to the executors’ role in the claim in their capacity as such ought to be clearly distinguishable from costs incurred in opposing the claim: see CPR PD 46, para 1.